The gripping prequel to my nationally bestselling debut, FROM THE ASHES, is finally here! Seven years after readers saw the shattering of Jon Rickner’s relationship with his brother Michael lead him on his quest to take down the Division, THE FLAGLER HUNT finally shows readers just how special that relationship was. 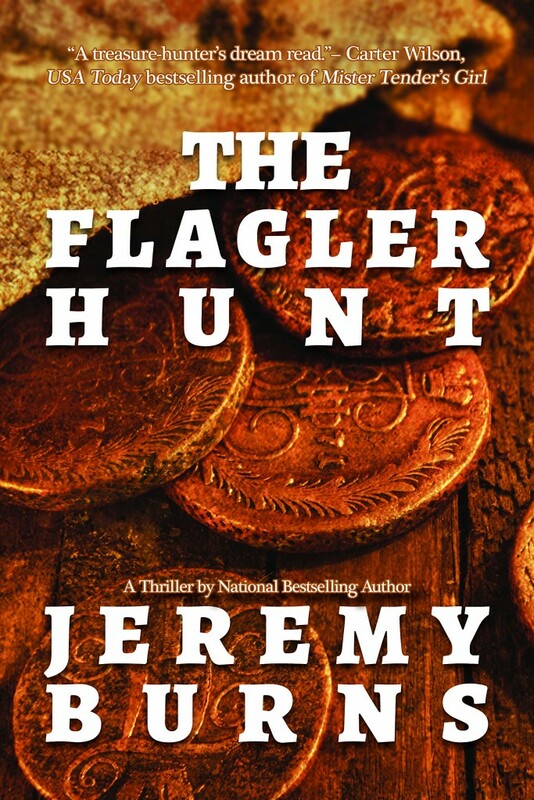 Set in the very city that first made me fall in love with living history thirty years ago, THE FLAGLER HUNT uncovers a conspiracy older than the Mayflower and takes place over a single, action-packed day. The fast-paced story “hits its stride early and never lets up” (New York Times bestselling author Steve Berry), and is being lauded as “a treasure hunter’s dream read” (USA Today bestselling author Carter Wilson). Read on for the back cover teaser copy! A vacation to the historic city of St. Augustine, Florida, quickly turns deadly for brothers Jon and Michael Rickner as an antiquities dealer is brutally murdered in his shop just minutes after meeting with them. Moments later, Jon and Michael discover an original Edison wax cylinder recording in the wreckage of the shop, one detailing the first step of an audacious treasure hunt devised by 19th-century railroad magnate Henry Flagler to lure rich tourists to his Florida resorts. But the hunt, abandoned by Flagler on the eve of its announcement, is not as straightforward as it seems. For the tycoon’s innovative attraction is tied to a priceless relic hidden by 16th-century Conquistadors and paid for in blood. The Rickner brothers are not alone in their quest for Flagler’s prize. Caeden Monk — an infamous treasure hunter exiled from the archaeological community for his destructive methods — and his devious assistant are also on the trail, and they will stop at nothing to claim the prize for themselves. Diving headlong into a breakneck pursuit of the truth, Jon and Michael must outwit Monk, discover the secret behind Flagler’s abandoned treasure hunt, and unravel a deadly riddle hidden for centuries in the very foundations of America’s oldest city before an unfathomable treasure is lost forever. Buy it today in trade paperback or ebook formats, wherever books are sold! Also available on KOBO and Apple Books e-formats! And if you’re able, visit your local bookstore and order a copy from them!